Have you ever thought of non-conventional energy as an effective alternative source, to save the nature from the wraths of atmospheric pollution? A person, who is genuinely conscious of preserving our nature, will not hesitate to explore on such possibilities. Anyone, who is going to take on solar power system as an alternative for power production at their home, has to make some basic studies about solar panels and the battery system that has to be installed. While arranging the solar panels either on the roof or on a ground post, the primary consideration has to be given on balancing the Photovoltaic (PV) solar panels output with the battery storage. If more number of panels with fewer batteries is aligned, the result will be wastage of energy. Imagine water is flowing into a small tank, where does the excess water goes? It will just overflow and get wasted on the ground. If it is done vice- versa with less number of solar panels and more batteries, the batteries would not get fully charged at the required level that may result in power black outs during crucial hours. Can you see how getting the number of PV panels and batteries right is a delicate balancing act? Solar panels should be capable of producing sufficient electric charge and the battery bank should have enough storage capacity throughout the day when the sun is shining. The energy generated can be used during night hours with enough surpluses as a reserve to meet the household energy demand on cloudy days. Hence a realistic usage chart has to be worked out; taking all these factors into consideration and the battery storage has to be regulated accordingly. Another point is to correctly work out the efficiency rating, based on the assumption that the energy efficiency usually will be less than 20 percent of the watts stored. 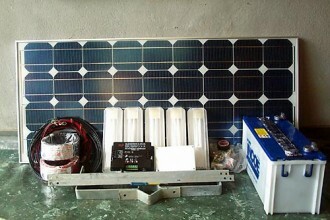 The drop usually occurs owing to different factors such as size of the wire, distance of the solar panels from the batteries and the connections such as power inverter, charge controller and other electrical appliances. Therefore, to balance the power storage, the solar power system being installed, has to be made capable of producing 120% of the total energy requirements. Sounds complicated to you? If you don’t have any knowledge or understanding on electronic science, it can be very confusing. In short, what you have to do is make sure the DIY home solar power system is capable of generating more excess power than you need. Understand this; whenever you add on a new electrical equipment such as a fridge at home, the battery reserve will also drop down simultaneously. Hence it is necessary to anticipate these factors, in addition to temperature effects in the ambience, the cycles of the refrigerators and the freezers and the possible consumption of energy by such appliances in watts. Normally a refrigerator taking its cycles for seven minutes in every 15 minutes and thus 28 minutes in every hour draws power for 11.2 hours per day that would require 2016 watts daily. Hence the batteries are to be charged fully at least once a month, to fulfill the energy needs. When a power system of 12V capacity shows 12.4V in the charge controller, after the sun has gone down, the factual state of charge may very much vary from what the charge controller indicates. Many contributory factors affect the actual state of charge of the solar power system, of which, the priority attention needed is on proper upkeep of batteries. This is essential to maintain the battery life cycle with full charging efficiency. For this, the terminals on the batteries are to be cleaned with corrosive and anti-corrosive cleaners and the water levels are to be checked and supplemented at regular intervals. The batteries should indicate a quarterly check report. 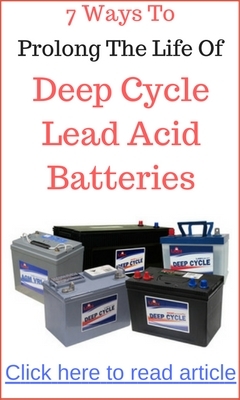 The deep cycle batteries may not work at 100% efficiency during their life time. Generally, batteries continue to work in weakest capacity but the risk is that they end up in draining other healthy batteries also. The assessment of battery storage and reserve needs minute care and attention for the fact that an old battery drains with quicker speed, when the discharge and the volt level drops down, while the ampere goes up to maintain the same watts level that the system requires to function. So, to have a functional home solar energy system, first, you must get the balancing of the PV panels with the number of battery correct. 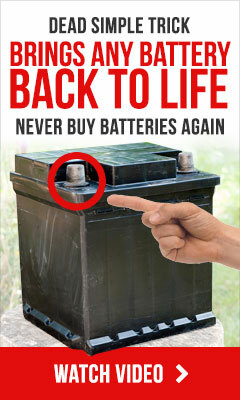 Then, you must also maintain the batteries so it is at its peak performance efficiency.